Last year marked the 10th anniversary of the dynamic tango ensemble Marko Hatlak&FUNtango. Marko paved the way for tango music in his homeland, gaining recognition for his passionate and sentimental interpretations. The 2008 album, History, was dedicated to Astor Piazzolla, the great Argentinean composer and bandoneonist who enriched tango music with jazz and classical elements, creating a new genre – Tango Nuevo or New Tango. 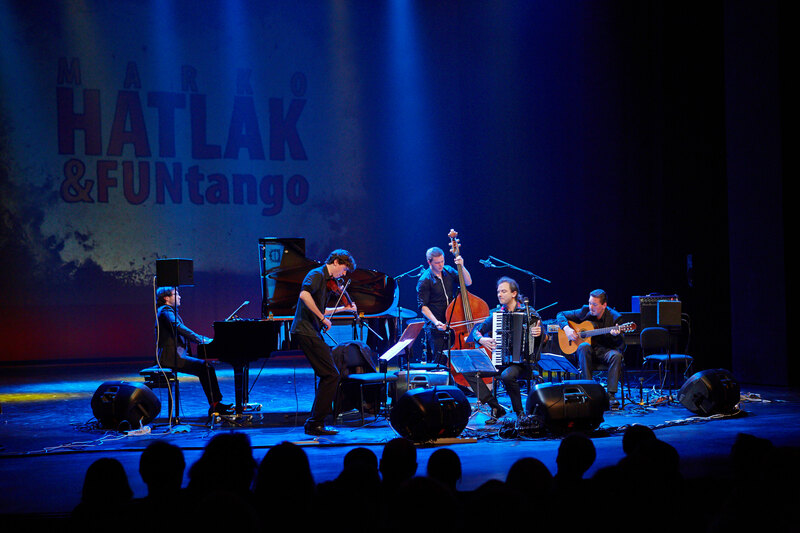 The ensemble upgraded their repertoire of Piazzolla’s music by adding arrangements of classical, jazz and tango music, as well as vocal compositions, uniquely interpreted by Hatlak himself. Last year the group added Marko’s compositions to their programme, making their concerts all the more special. Passion, tenderness, sombre melodies and deep affection are evoked in the listeners through the finest and most intense interpretations and the confluence of sounds created by this diverse ensemble.